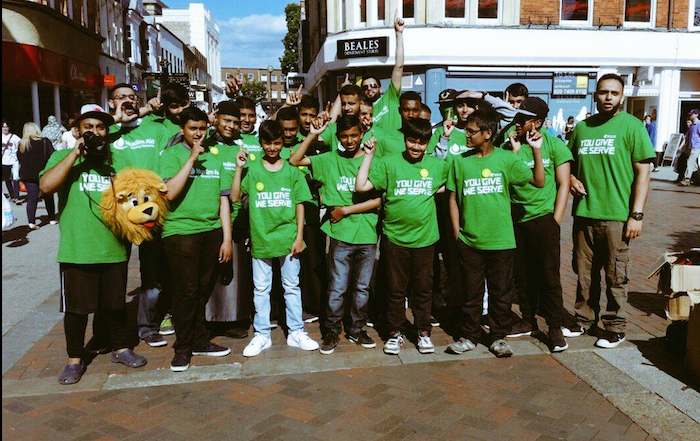 Muslim aid is a charitable organisation which endeavours to tackle poverty and provide emergency relief for those in need. As we all know, child poverty is a huge issue for us all and something which we must work together as a nation to solve. 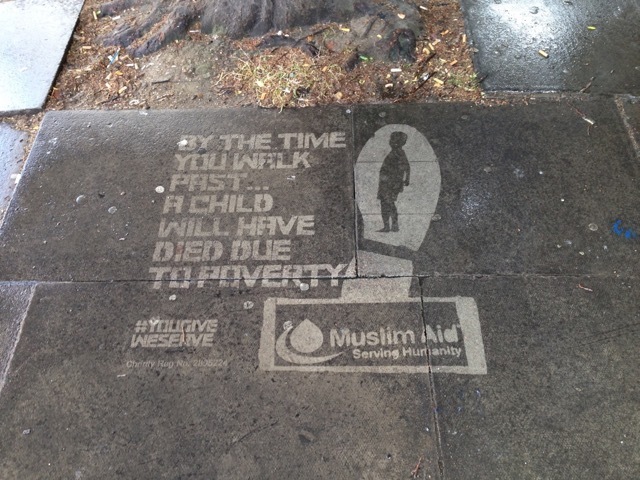 Using Clean Advertising Muslim Aid wanted to remind us of the plight of our children. Hopefully this would in turn encourage people to donate to this worthy cause. 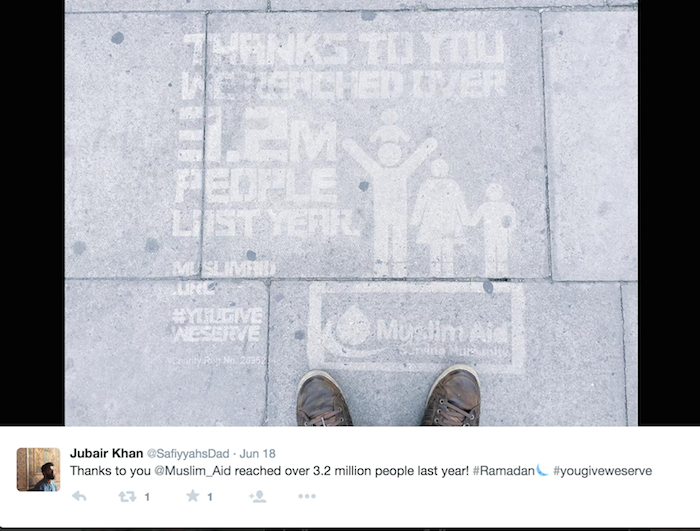 With their prominent hashtag #YouGiveWeServe the Clean Adverts that Street Advertising Services placed not only reminded us of the seriousness of child poverty but also highlighted how Muslim Aid had already reached over 3.2 million people last year. 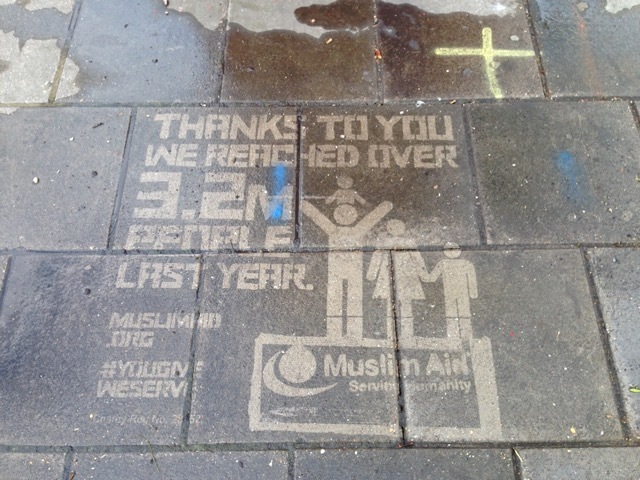 Placed in high footfall areas, Muslim Aid will undoubtably reach so many more this year! 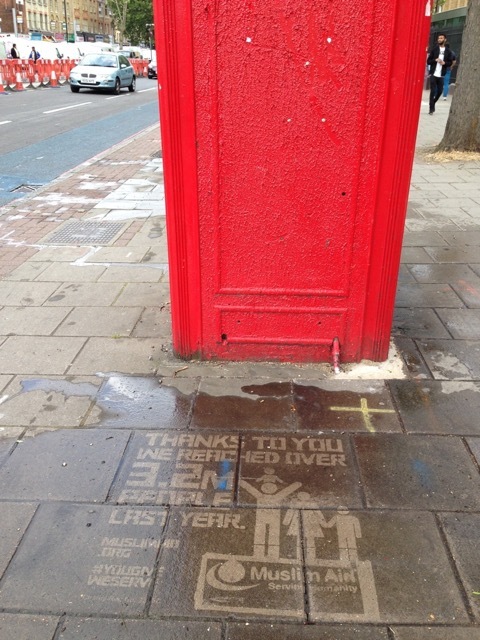 Clean Advertising is a unique and interesting way to grab the attention of your target audience. 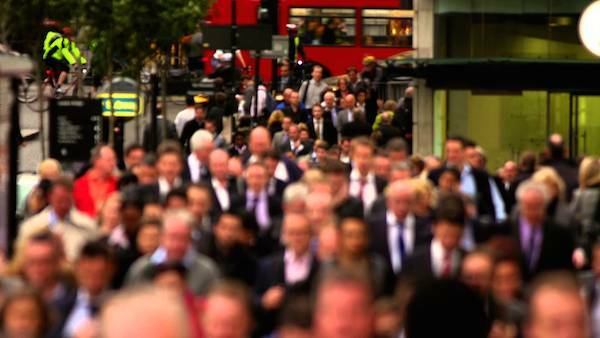 We are the UK experts in Clean Advertising and can get the job done quickly and efficiently over night. This method never fails to grab attention and generates organic shares on social media. Pretty Impressive! 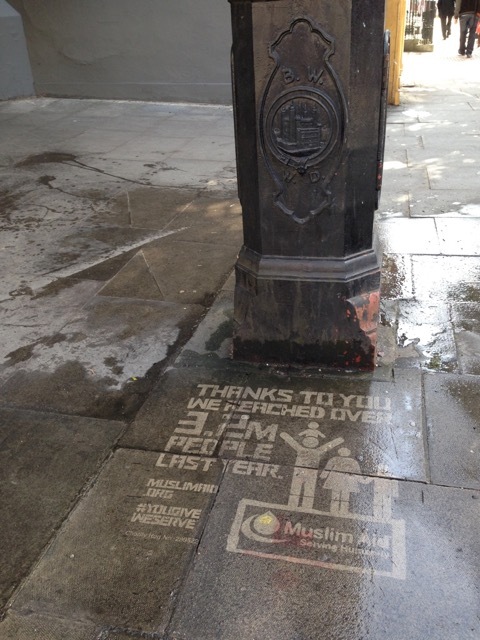 If you would like to utilise the attention grabbing power of Clean Advertising then get in touch now!